On Monday, BuzzFeed reported that interim Democratic National Committee Chair Donna Brazile was no longer a political analyst at CNN, after Wikileaks published an email indicating Brazile sent Hillary Clinton's campaign a debate question in advance. 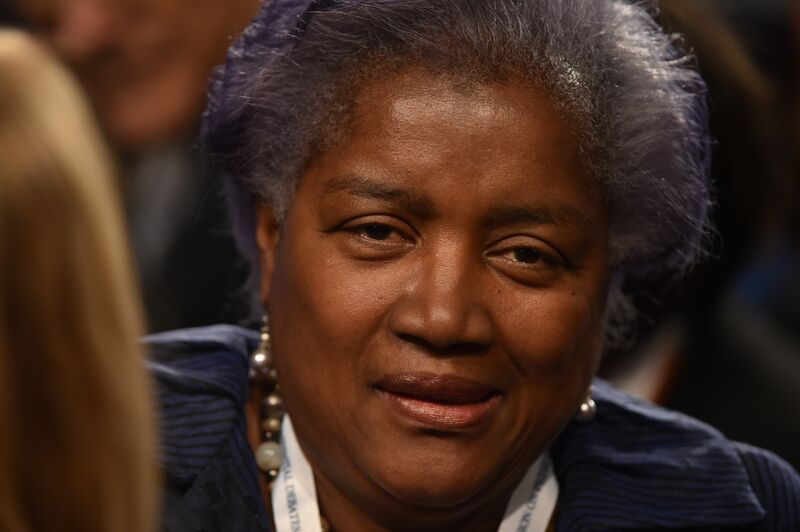 Brazile had already been placed on leave at CNN, BuzzFeed notes, when she took on her role with the DNC after Debbie Wasserman Schultz resigned. However, a recent tweet from Brazile timed with the Wikileaks release indicates a severing of the relationship between the former and CNN. "Thank you @CNN. Honored to be a Democratic Strategist and commentator on the network. Godspeed to all my former colleagues," Brazile tweeted on Monday. Minutes before that tweet, CNN told The Huffington Post's Michael Calderone in a statement that the network had "accepted Donna Brazile's resignation as a CNN contributor" on Oct. 14. CNN also stated that it is "completely uncomfortable with what we have learned about her interactions with the Clinton campaign while she was a CNN contributor." Also, the statement stressed that "CNN never gave Brazile access to any questions, prep material, attendee list, background information or meetings in advance of a town hall or debate." The controversy stems from a Wikileaks email that suggested Brazile sent the Clinton campaign a question in advance of a March Democratic town hall debate that she moderated for CNN in Flint, Michigan. "One of the questions directed to HRC tomorrow is from a woman with a rash," Brazile wrote in an email dated March 5, according to the Wikileaks release. "Her family has lead poison and she will ask what, if anything, will Hillary do as president to help the ppl of Flint." Calderone has pointed out that a question asked during the March 6 debate in Flint was similar to what was alluded to in the Wikileaks email, though the woman did not appear to have a rash.